Listen to "The Distance Between Us: A Memoir" on your iOS and Android device. 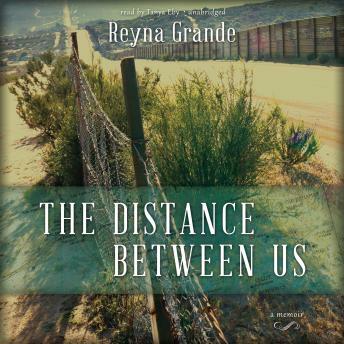 When Reyna Grande’s father leaves his wife and three children behind in a village in Mexico to make the dangerous trek across the border to the United States, he promises he will soon return from “El Otro Lado” (The Other Side) with enough money to build them a dream house where they can all live together. His promises become harder to believe as months turn into years. When he summons his wife to join him, Reyna and her siblings are deposited in the already overburdened household of their stern, unsmiling grandmother. The three siblings are forced to look out for themselves; in childish games they find a way to forget the pain of abandonment and learn to solve very adult problems. Thank you, moving! I learned and loved the history and proud to be Chicanas!